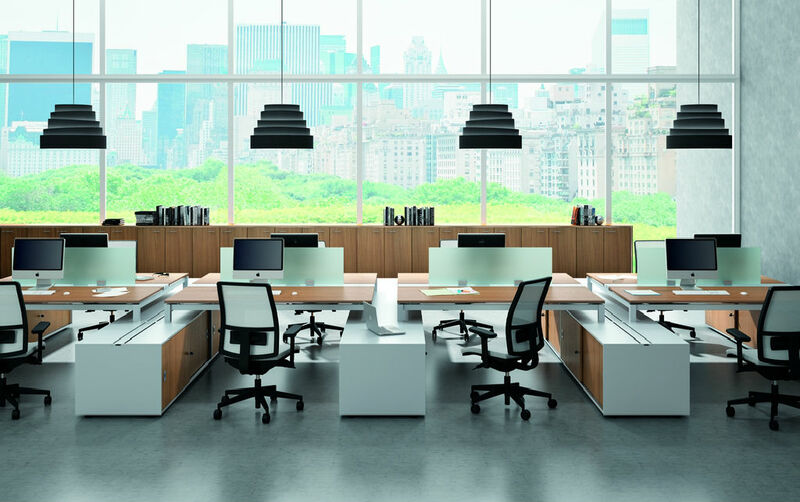 The modular components give you endless possibilities to work out different compositions in order to solve any need, from the workstation to the executive desk. 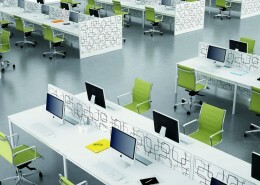 The new face for desks thanks to operative boxes with sliding doors, that define the working area. Linear compositions and desk height storage units. 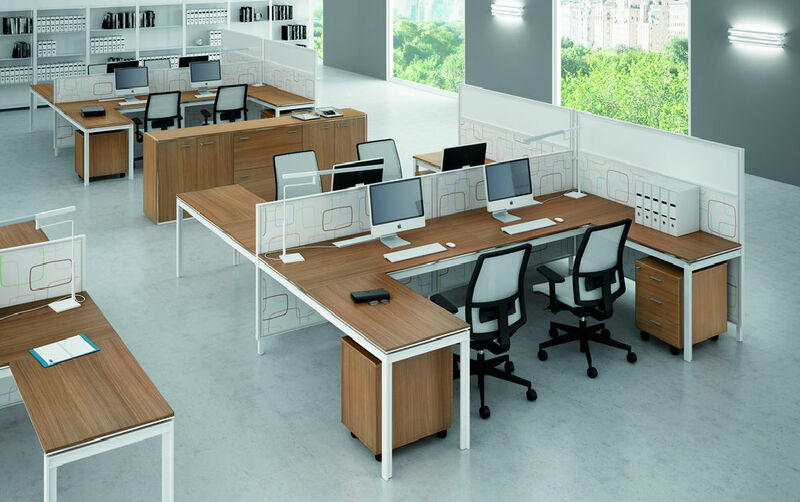 Desk height cabinets create continuous solutions with work surfaces, expanding the functionality of every single workplace. X4 is always able to guarantee solutions of high quality. The lift-up flaps on the box give easy access to the cable compartment. Inside the box, there is also space for a pedestal and CPU. The height adjustable version for the X4 leg is an interesting option that allows the elevation from 72 up to 82 cm. It allows changing the desktop at the desired height, creating ergonomic solutions adaptable to the operator, ergonomic and dynamic combination of technology and materials for an aesthetic of simplicity. A proposal with the contrast of glass tops and chromed legs. Storage units. 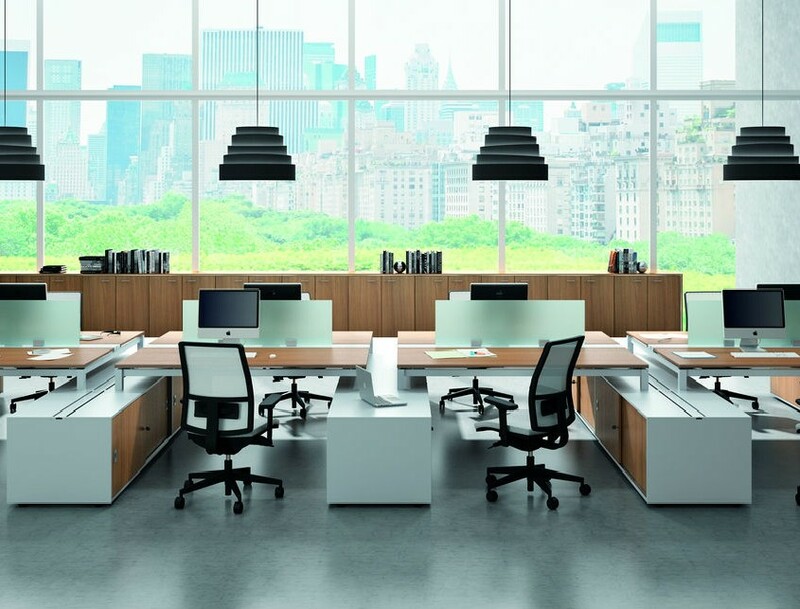 To X4 model belongs also a broad range of storage units with melamine or metal carcass, that fit perfectly the workspace with their functionality, Details, finishes and technical solutions in foreground. A broad range of handles and pedestals create endless possibilities of compositions. 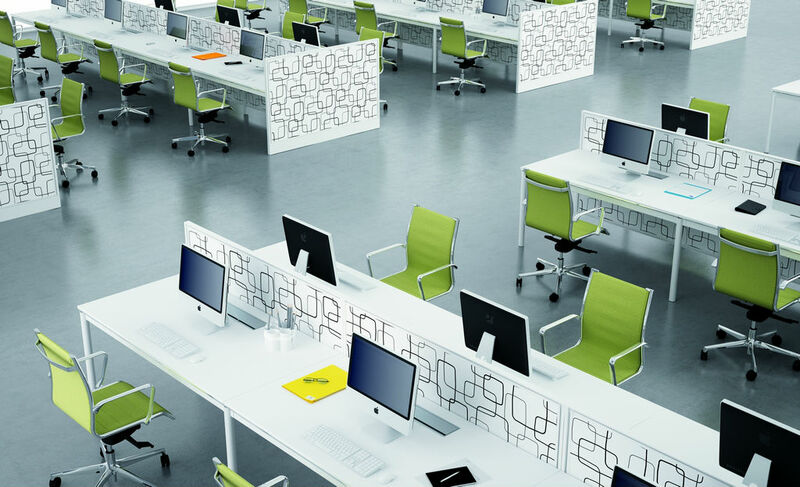 Cable management is an important element of workplaces, thanks to top access integrated to the worktop, operative boxes and cable trays both horizontal and vertical. Detail of the soft-closing system of the lift-up flap and the pedestal inside the operative box. The Bachmann cable management system allows the optimum routing of cables at workstations between desk, floor box, wall duct and the various devices.